I know some of you are often seeing other bloggers wear this kind of skirt, me too. 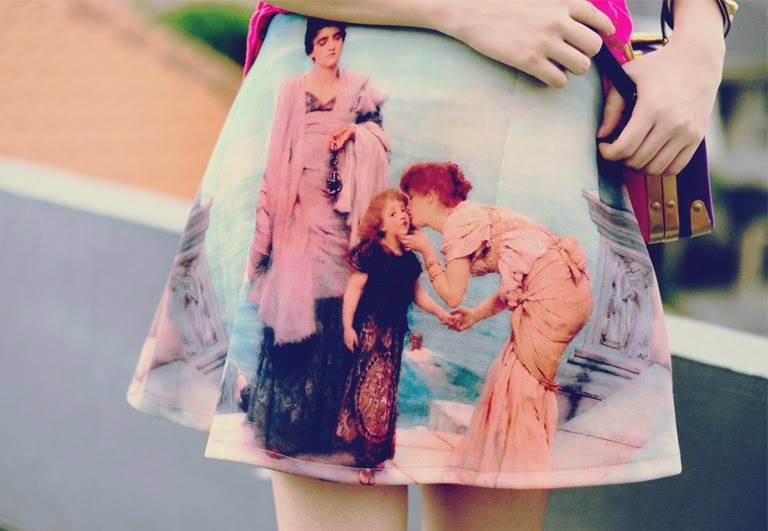 But I can't help my self not to love this skirt. You know that we need both pattern and solid items. And pattern like this is too lovely to let go. Wow! Great outfit! I love all the colors! 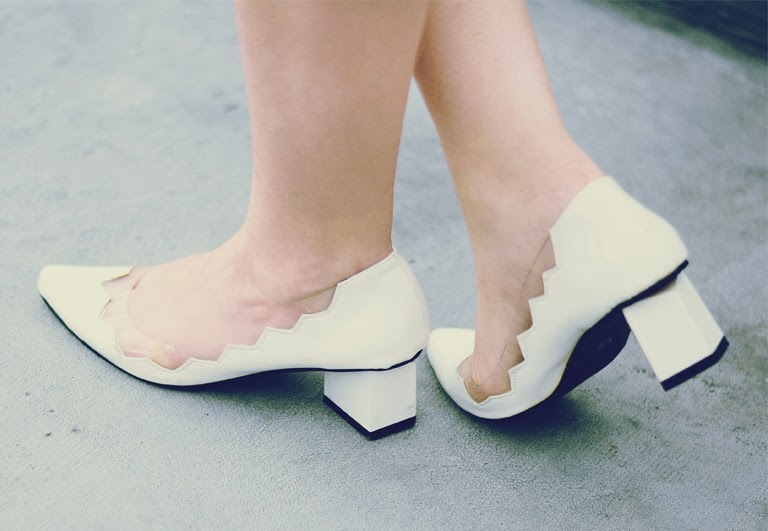 The heels are amazing! i am so crazy over the shoessss! Super cute! Love those shoes. Super unique! You look so pretty fall in love with your mom's bag and cool shades! The colours of the outfit are amazing & the bag is so awesome! It reminds me of Alexander Wang! waa rok nya bagus. hehe iyaaa, sukak tasnya ;3 btw aku lupa ngabari ga jd beli sweaternya hahaha :D thankyou yah wulann! Pretty colors! Love that purple bag!! love the sunnies and the photography!